As we said yesterday, the market continued to move sideways. Through the course of the day, the BSE Sensex made a high of 17,184 and a low of 17,028—a range of 156 points. It closed the day at 17,098. Today was the third day in a row that the index has failed to cross the crucial 17,200 level. The US markets were marginally up yesterday as were Asian markets. European markets were also trading flat. Among the big movers today was Mukta Arts (up 7.58%). Whistling Woods International, a subsidiary of Mukta Arts Ltd and Filmcity Mumbai have signed an MoU with Centum Learning Ltd. This vertical-specific programme would be offered by Centum Learning this fall to build professional skills among students aspiring to join the media & entertainment sector. Index heavyweight Reliance Industries was up 1.80%, crossing over Rs 1,000 on reports that the firm is about to strike oil or gas at its Palar deepwater block in the Kaveri basin. Rs31.75 per kg, higher than Rs30 per kg of Monday. On Monday, the Maharashtra State Cooperative Sugar Factories Federation issued an “appeal” to sugar mills asking them not to sell sugar below Rs32 per kg at ex-mill rates. Traders say consumers can expect sugar prices to come down even more. Since February, the government asked sugar mills to sell at least 25% of the stock to the market. Otherwise it becomes ‘levy’ sugar and goes to the Public Distribution System. PDS sugar is sold to the government at one-third the market price. Among the other stocks, Cox & Kings started its luxury train service, Maharaja Express. The stock was up 2.68%. Thermax Ltd and Babcock & Wilcox Power Generation Group Inc have announced a joint venture to engineer, manufacture and supply supercritical boilers for the Indian power sector. Thermax will own 51% share of the JV. Thermax was up by 2.70%. Girija Pande, Asia-Pacific chairman of TCS, said that the group had achieved compounded annual growth averaging 40% a year in the region over the past nine years, and was hoping for 35% growth this year. NTPC continued to fall. Today it was down 1.38%. TK Chatterjee, executive director at NTPC, said that the company was scouting for mines in Mozambique and Indonesia as local coal output would fall short of demand. Mr Chatterjee said that NTPC's coal imports in 2010/11 would rise to 13.5 million tonnes. The market will remain under pressure tomorrow. If the Sensex falls below 17,000 and stays there for a few hours, it will go down to 16,800. Celebrity Fashions Ltd (CFL), an Indian garment exporter and manufacturer of trousers, is looking at raising equity funds for its export bottoms division business through a strategic investor. This move will take place immediately after the company completes the restructuring that is underway. A few days back, the company announced that it is going to hive off ‘Indian Terrain’, a men’s apparel brand—currently a division of the company—into an independent entity. CFL’s bottoms division will be merged into its unit Celebrity Clothing Ltd (CCL). The company is looking to sell the promoter’s stake in CCL to a strategic investor. “We are looking at raising equity funds for our export bottoms division business from a strategic investor who will bring in export business or who will benefit from our production capacity. 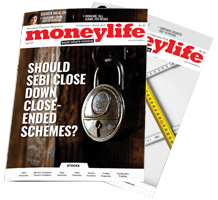 We are looking at raising the equity funds in three months,” said S Surya Narayanan, executive director, CFL. 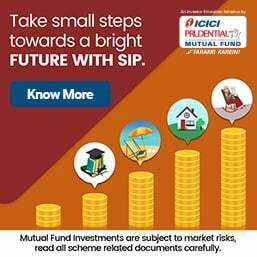 The company has signed up SBI Capital Markets Ltd (SBI Caps) for raising equity funds for the export bottoms business and is planning to give maximum 49% stake to a strategic investor. After the de-merger of Indian Terrain and hiving off of the bottoms division, the tops manufacturing and exports division will remain with CFL. The restructuring exercise is being carried out by PricewaterhouseCoopers. The restructuring will bring clearer focus to the whole business. According to trade reports, the Indian Terrain brand has enjoyed a 20% growth last year. The company is looking to expand aggressively with its Indian Terrain brand and is planning to add 20 more exclusive stores to its existing exclusive 45 outlets. According to the company, 40% of its revenues come from exclusive brand outlets. The new stores will be in Ahmednagar, Tiruchirapalli, Visakhapatnam, Bikaner, Jodhpur and outlets in Sikkim. The company feels that the Indian Terrian brand could grow bigger than the export business of CCL, which currently stands at around Rs200 crore. After the entry of the potential investor in CCL’s business, the company might list the subsidiary as a separate entity in the stock market. “Listing of CCL can happen in the future which depends on the investor and the growth of the business which may happen after a couple of years from now,” said Mr Narayanan. Last quarter, (October 2009- December 2009), the company incurred a loss of Rs5.14 crore compared to a loss of Rs37.68 crore in October 2008-December 2008. The loss fell by Rs 32.54 crore, on a quarter-on-quarter basis, with almost the same net sales (Rs66.82 crore in October 2009- December 2009 and Rs65.07 crore in October 2008- December 2008) over the period. Reliance Industries Ltd (RIL) has leased a brand new ultra-deepwater drillship to boost its eastern offshore exploration campaign, reports PTI. "The newly-built ultra-deepwater drillship ‘Dhirubhai Deepwater KG2’ commenced operations for RIL in India under a five-year drilling contract," Transocean Ltd, which built the rig, said in a statement. RIL had awarded a five-year drilling contract to a joint venture of Transocean and Pacific Drilling to construct and operate the drillship. RIL will pay $495,000 per day for the Samsung-designed drillship for the first six months and $510,000 per day for the remaining period of the contract. "The dynamically positioned ‘Dhirubhai Deepwater KG2’, one of the 24 ultra-deepwater floaters in the Transocean fleet, includes the most advanced drilling capabilities in the offshore drilling industry," the statement said. Transocean is also building an enhanced Enterprise-class drillship, named ‘Discoverer India’, for RIL. Operations are expected to commence during the fourth quarter of 2010. RIL will pay a day rate of $537,000 for the first six months for ‘Discover India’ and $557,000 for the remaining period of the initial five-year contract. The company can extend the term of the drilling contract to seven or 10 years. The company currently has four deep-sea drill rigs from Transocean for exploratory and development drilling in its portfolio of blocks that includes gas discovery blocks D6 and NEC-25. This is some interesting news for us. With all international operators now working on various oil and gas finds in the KG Basin, near Kakinada, in India, Project Sales Corp looks forward to servicing the oilfield consumables requirements direct and through tier I suppliers in the region. Project Sales Corp, one of the leading MRO (Maintenance-Repair-Overhaul) products distributors in India, now extends their product portfolio to cover key brands used in the oil & gas industry. With already well known brands like Dow Corning, Molykote, Devcon, Magnaflux, Dupont, WD-40, 3M, Kennedy, Bacou Dalloz, Matlock, Tuff-safe, Recoil, Hylomar, Snap-on, Cromwell, CRC and many others in its range, Project Sales Corp now has added key oilfield MRO brands in its portfolio including Jet-lube, Gojo, Copaslip, Brady, etc to broaden its range to offer a complete portfolio of products required by the operators in the region. The product categories already well covered by Project Sales Corp includes cleaners and degreasers, gasket makers and sealants, inserts and thread repair products, maintenance aerosols from CRC and BTS, Lubricants from Petro-Canada, Specialty Lubricants from Molykote, Silicone Compounds from Dow Corning, Magnaflux NDT products, Snap-on Hand Tools, 3M PPE range, Abrasives and Adhesives range, Dupont Sontara Industrial Wipes, Maintenance Epoxies, HSE products from Bacou Dalloz, Fall protection from Miller, and many more. With over 750 skus for sale to industry that would find application in the oil & gas markets as well and a large inventory of Jetlube Kopr-kote, Gojo Hand Cleaners, Copaslip, LOTO and Facility Identification products from Brady, Project Sales Corp would be able to offer an unmatched range of consumables from a single source in the region.